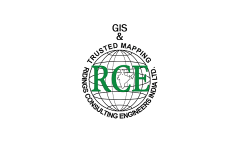 Business description - Ridings Consulting Engineers is engaged in Geospatial Services which includes Sub Surface Utility Engineering (SUE) Survey/ Ground-penetrating radar (GPR) Survey, Geographic Information Systems and Geospatial database development (GIS & Mapping Solution), Geospatial -Marketing consulting and planning, Training (GIS/ AutoCAD/ Arc Suite/ GPR/ EPL & DGPS/Total Station), Geographic Information Systems for Utilities (Power, Water & Telecom) and Land surveying and Geospatial Data (Digital & large Scale Geospatial Data) etc. Basically Geographic Information Systems (GIS) applications including mapping of utilities such as electrical network, telecom network, water supply and sewerage systems. The company also provides services in the field such as GPR (Ground Penetrating Radar) / Sue Survey, Navigation Survey, Property Tax Surveys, Land Usage Surveys, Investigative Surveys (gather competition, market penetration data), Socio Economic Surveys, Geospatial Application Development and Services which directly provide services to various private sector, Semi Government & Government entities in field of telecom, oil and gas, public utilities etc. in India, Bahrain and other gulf countries. Ridings Consulting Engineers IPO allotment status is now available on Skyline Financial Services' website. Click on this link to get allotment status.